The Spotted Owl in Fairbury has a new look and a new owner. Joni Kilgus now owns and operates this popular location and she has, as her main venue, a very nice array of girls and women’s clothing. The latest fashions and popular labels are available both in store and on line and there are always new arrivals for every day and seasonal wear. You can shop and order on line (see info below) and they will ship it to you or, if you’re local, you can send your order and they’ll box it up for you and you can pick it up in the store at your convenience. If you’re a “hands on” type shopper, the store is conveniently located on the southwest corner of First St. and Oak St. (Rte 24) and there’s comfortable parking in their parking lot behind the store (enter off First St.) and you’ll find a helpful friendly atmosphere inside. 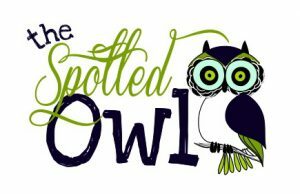 The Spotted Owl also has home décor and accessories (both home and personal), which are available in-store only, and there is usually a variety of sales and discount programs going on so it’s always worthwhile to check them out to see what they’ve got for you and yours. Hello! I had stopped in earlier with interest in wool covered goat soap, that you no longer have in inventory. It sparked my interest in learning how to make it as gifts for my family. Would you be able to provide contact info for the supplier?